How they demonize. Who they demonize. Why they demonize. As a rule I define Christof***cists as existing in two groups: the Elmer Gantrys (Rick Warren, Pat Robertson, Creflo Dollar, Rod Parsley, etc.) 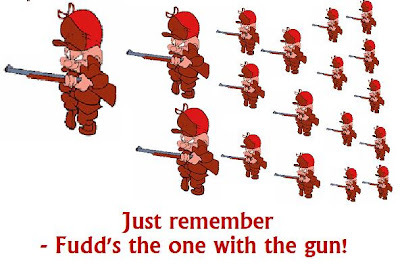 who are snake oil salesmen in love with their own snake oil; and, the Elmer Fudds, the gullible and unwitting followers of the Gantrys, but no less dangerous since Fudd's the one with the gun. In colloquial usage, the term demonization is used metaphorically to refer to propaganda or moral panic directed against any individual or group. We've seen the results: America is becoming a nation of the bullies and the bullied. For Religious Right groups and media personalities, for gubernatorial candidates and city councils, demonizing rhetoric is the weapon of choice to harass, discriminate, degrade and (sometimes) kill the people they think are a drain on their society. And although the recent spate of teen suicides in the country seems limited to issues of sexual orientation, demonization has seeped into the public consciousness and spilled over into issues of politics, race, immigration and class struggles. The "bully pulpit" has become firmly entrenched in our American psyche and it shows no evidence of abating. In fact, it's escalating. In the last year, we saw a new symptom of demonizing become part of our legal lexicon: righteous assassination. The term applies mostly to people who perceive someone's "immorality" to be evil and detrimental to the rest of the country. Byron Williams, the would-be terrorist against the ACLU and the Tides Foundation was about to commit "righteous assassination" when he was stopped on California's Interstate 80 outside of Oakland, CA. He mentioned inspiration from FOX-News and Glenn Beck (read the UPDATE below). And before that incident, we were horrified at a shooting at a Unitarian Church in Knoxville, TN because the accused " targeted the congregation out of hatred for its liberal social policies." 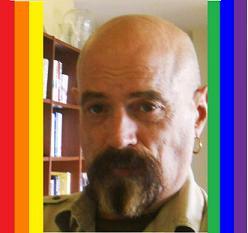 Once again, homosexual activists have found a judicial activist who will aid in the advancement of their agenda.